Alan started to learn to play the guitar at the age of 14 years old, he decided from this early age that he loved the sound and feel of the bass guitar. His mother bought him his first guitar which which was a six string acoustic and then he started to learn himself and eventually progressing to having bass lessons from one of the leading most progressive players in Staffordshire a guy called Lincoln Chatfield. He then joined his first band at the age of 15 a semi-professional band playing at all the local pubs and clubs in the area and beyond. 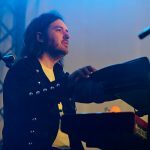 He continued his career playing in various covers bands playing all genres of music in all types of venues including college’s and on the university circuit often supporting some of the UK’s top bands. This led to Alan forming his own bands and performing, and recording doing all his own original material. But being a huge Queen fan and the opportunity to emulate one of his favorite all-time bass players (John Deacon) was something that he very much wanted to do. 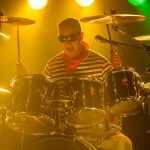 Alan has for many years played with some of the UK’s most popular Queen Tribute Band’s performing at many prestigious venues and events around the country and overseas, and this has led him to now joining one of the top tributes to Queen “Supreme Queen”.